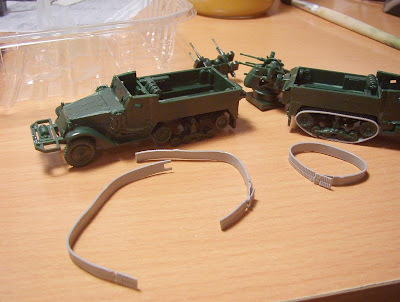 A couple of 1/76 scale M16 Half-tracks (w/50cal quad) under construction. 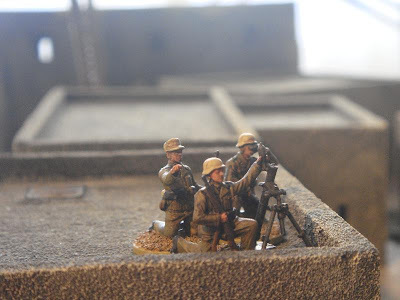 This is the Matchbox-Revell re-release. 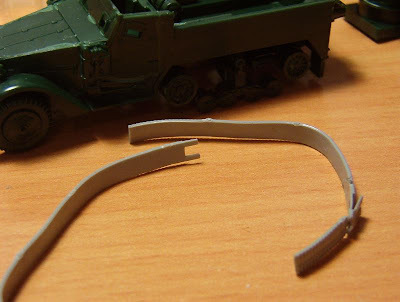 The tracks are far too fragile though. 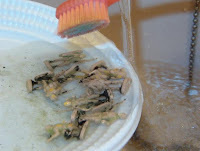 I'll have to try and find an alternative as these broke as soon as I tried to get them over the rear roller assembly. 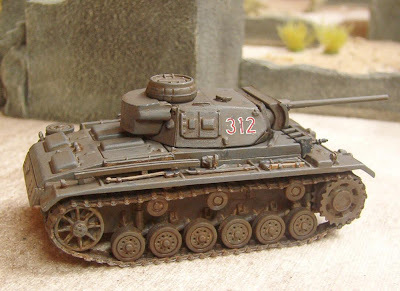 Apart from the problem with the dodgy tracks, the kit looks as sharp in detail and as easy to put together as it ever was. 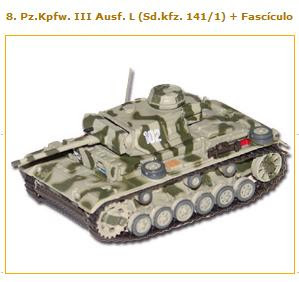 Some more of the new Altaya die-cast tanks recently out on the market here in newsagents in Spain. 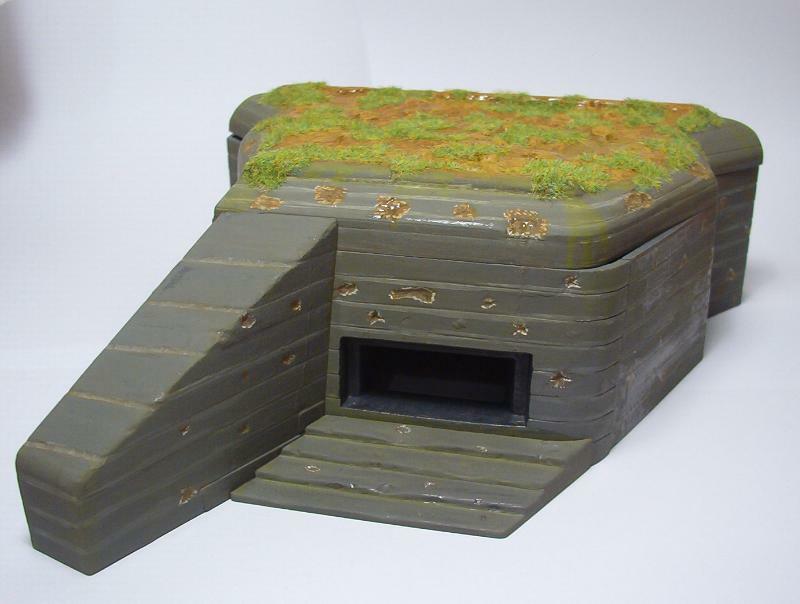 Ideal for wargamers. 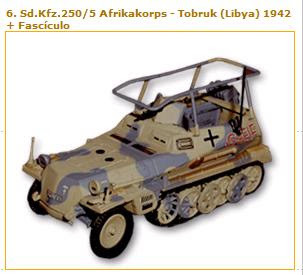 Not really worth building models when these are on sale for just 10.95 Euros apiece. 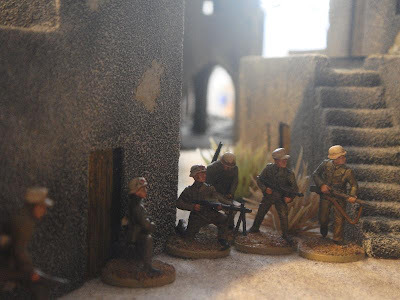 Some photos below of of Altaya die-casts repainted by fellow wargamer Carlos de la Concha. 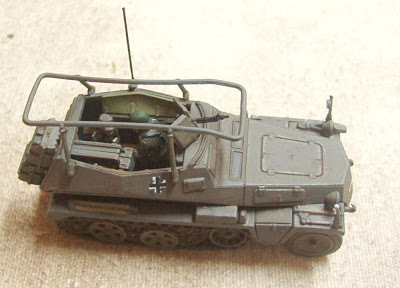 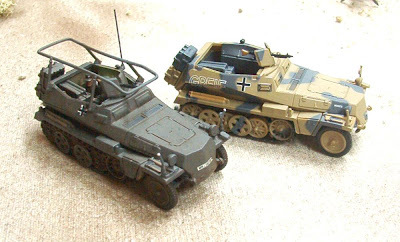 The figures inside that repainted "Rommel Chariot" are two old Matchbox figures. 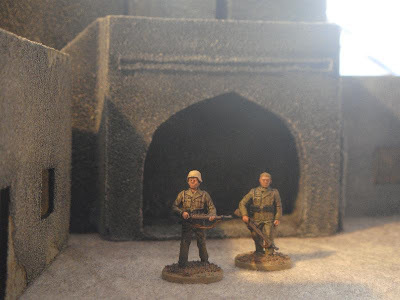 Some pictures of figures from the new Italeri set, painted by Carlos de la Concha. 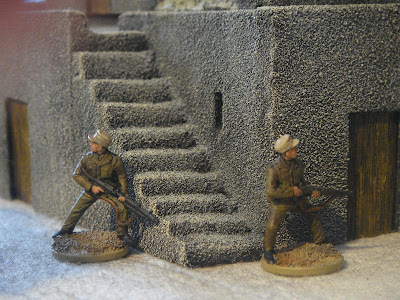 These superb figures here were painted by my old mate, Carlos de Concha. 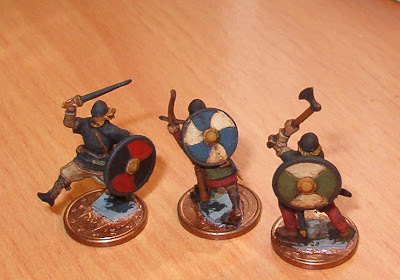 A few weeks back we decided that between various members of our club we could each paint up a few Vikings for some skirmish scenarios. 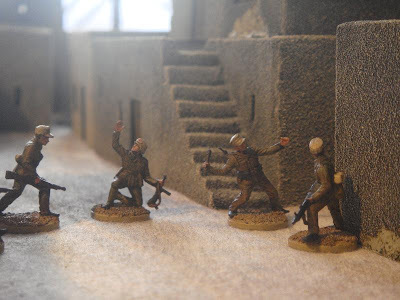 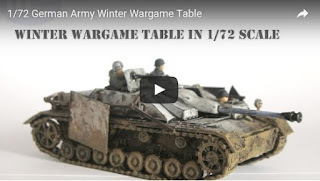 We split up a set of Zvezda figures between five regular players and as there are going to be various painting styles, just one of us would flock the bases when we all have the figures painted so they all blend in together on the table. 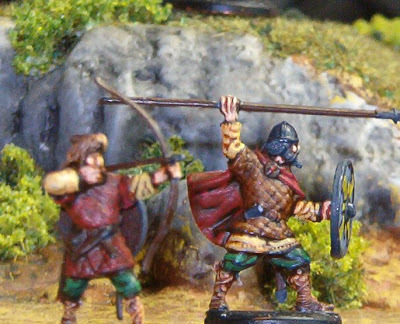 Here come the Vikings ! 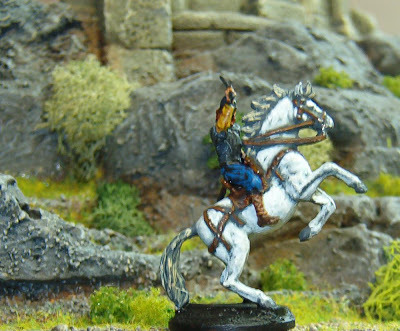 Zvezda figures, (and a viking on horseback conversion), all superbly painted by fellow gamer (and one of my regular wargame "enemies") Juan Reyes for our wargame club's "Medieval Project" . 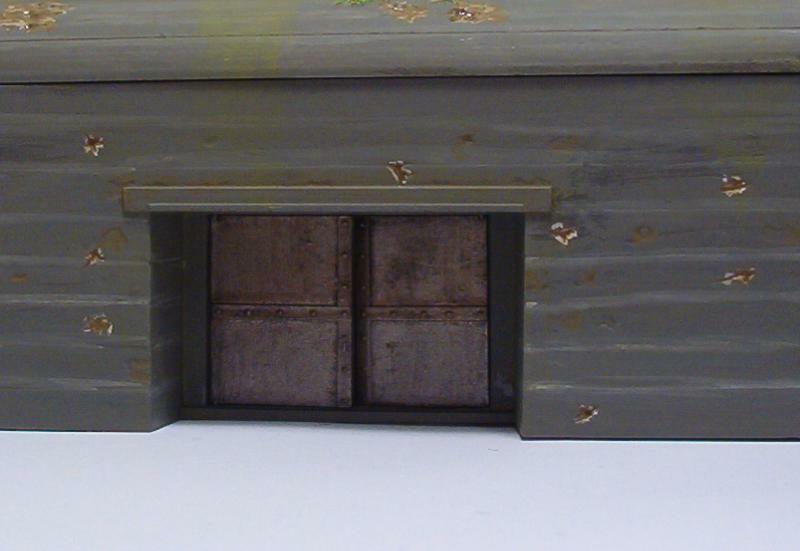 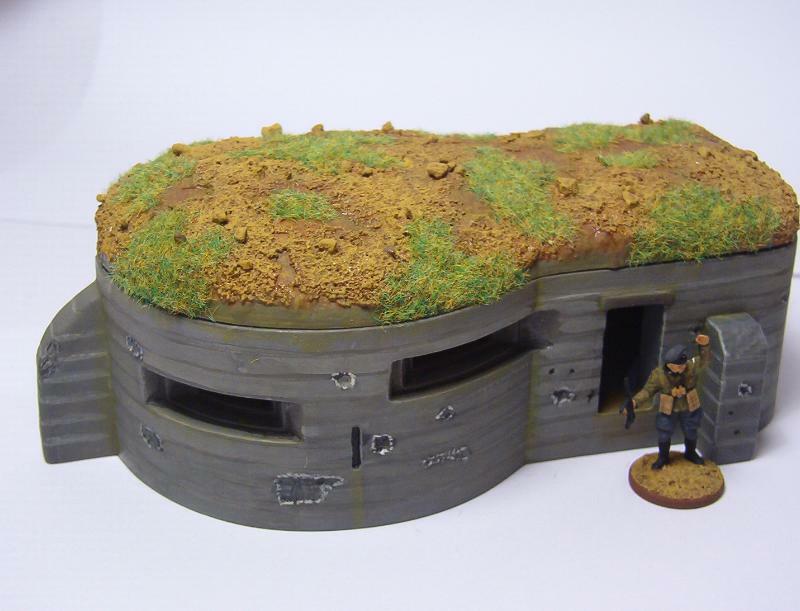 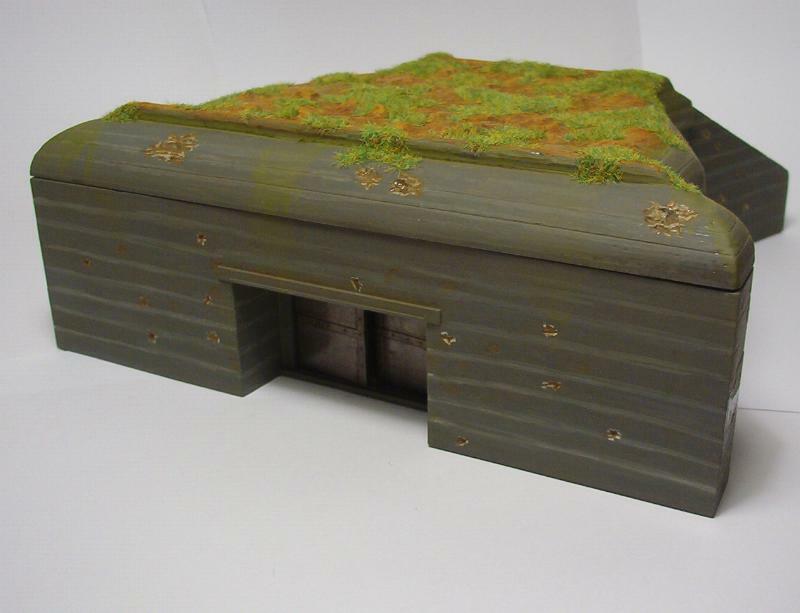 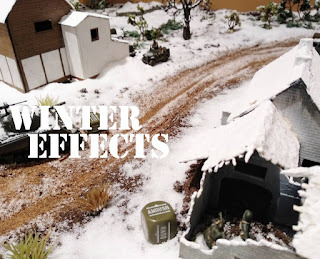 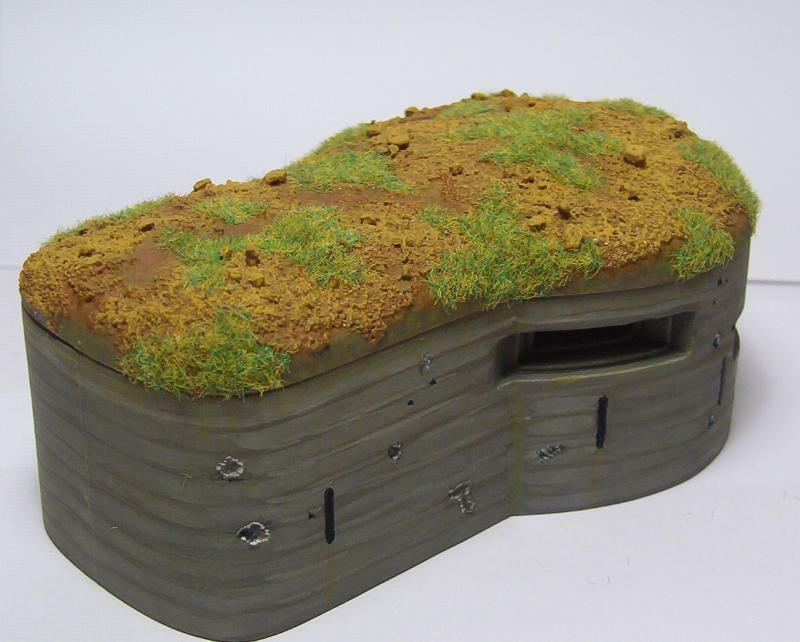 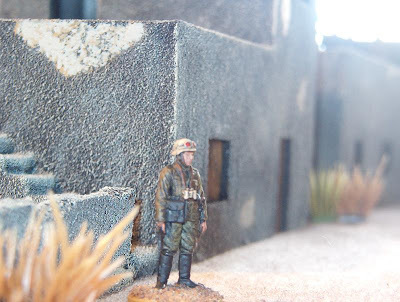 Italeri 1/72 Scale Coastal Defence Bunkers. 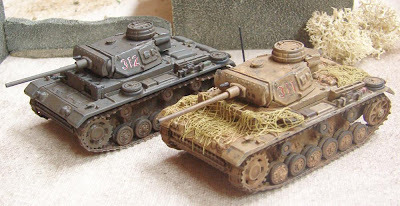 Nice solid models that paint up really well. 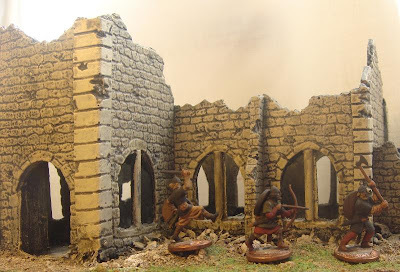 These were made and painted by Carlos de Concha from the Tenerife Brazo de Nelson Wargames Club.